The perfect vessel for a cruise on the mighty Mississippi. The Riverboat Twilight was designed and built as a replica of the Victorian steamboats from a century ago. Take part in a 1-day adventure that departs from Dubuque. Sail north to Guttenburg, Iowa and take in one of the most beautiful areas of the Mississippi. This 9-hour trip includes continental breakfast, two snacks, a full lunch, historical narration, and breathtaking scenery. Traveling with little ones? Kids 3 and under are free. The Twilight’s signature cruise is a 2 day venture starting in LeClaire, Iowa. Enjoy the wildlife, scenery, and historic river towns as the captain makes the journey to where Iowa started in Dubuque. 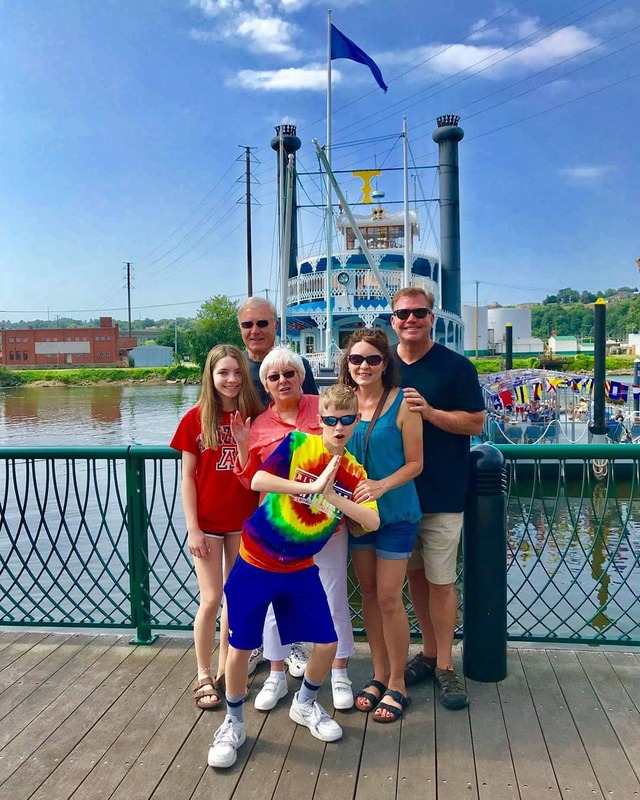 This trip includes meals as well as an overnight stay at the Grand Harbor Resort & Waterpark, which is located feet from the Mississippi River. While in Dubuque, enjoy the National Mississippi River Museum & Aquarium where stingrays, otters, and even an alligator can be seen. After departing Dubuque the Twilight will then make its way back down river to LeClaire. This majestic boat is a sight not to be missed. So get your tickets, jump aboard, and sail away!